The other day Sean Patrick Traver, author of LA-based magical thriller Graves’ End, invited me to take part in a publicity drive for authors called The Next Big Thing. The drill’s simple: we must each independently answer ten interview questions about a creative work in progress, then hand the baton off to another writer or five. I’m in. Thanks, Sean! Sean’s now working on a wicked spinoff of Graves’ End, with a working title of Red Witch: The Tales of Ingrid Redstone. Check out Sean’s interview questions here. I recently published my first novel Under Angels, now available for Kindle and in paperback. I’ve also written the adapted screenplay, and am developing the tale into a graphic novel. The story takes place in Los Angeles, spanning across time from World War II to tonight. Under Angels 2 is its prequel, taking place in the early 20th century, immediately after World War I, during the dawn of spiritualism, the New Age, and the occult. The story introduces us to Under Angels‘ complicated hero back when he was still just a little boy, raising new questions about his inevitable fate, while also offering some answers. I’m starting to hear the whispers of Huck Finn, Holden Caulfield, the Little Prince, and, I admit it, Encyclopedia Brown. But it’s a very adult story. Dark as Hell. Supernatural Thriller; Psychological Horror; Ghost Story. For Under Angels, I always thought Heath Ledger would’ve been the perfect guy to play the pained protagonist Pete Durante. But alas, that can never be. I’ve recently become a big fan of Joseph Gordon Levitt, and would love to see him go there. What a range. From Looper to 500 Days of Summer to Hesher to 50/50, that dude JAMS. For the other two main roles, I’d cast Willem Dafoe as the covert intelligence agent Rip Greamer and Mickey Rourke as the afterlife dog soul catcher Mag Perrier. Trapped between life and death, a suicide victim must follow his dog beyond the grave and into a purgatorial maze of tunnels beneath Los Angeles to solve one final puzzle. Under Angels was indie. It’s prequel will be as well, unless something changes. For Under Angels 2, I’ve spent about three months on the heavy lifting, and now have a 40-page treatment with supplemental notes. The story’s simmering in my mind now, and I look forward to churning out pages in 2013. I absolutely love the story, and can’t wait to read it. It’s a mindfuck, as any installment of Under Angels will be. Promise. For the first novel, I wrote a bare-bones 26-chapter outline in the summer of 2008. As a new year’s resolution experiment, I publicly committed to writing my first draft in real time, on my blog, one chapter every two weeks, for an entire 52-week calendar year. A “blovel”, if you will. I began on January 1, 2009, and ended on December 31, 2009. No breaks. I then stepped away from the story for about six months. In the summer of 2010, I finally went back and read what I’d written, spent another few months on the polish, added two more chapters in the midsection, and finished appropriately enough on Halloween. I eventually published the ebook to Kindle in the summer of 2011, then prepped the paperback in the spring of 2012. With an editor, I should add. My writing schedule for Under Angels 2 won’t be nearly as rigid this time around. But I’ll likely toss out some sneak peaks along the way, which should be great fun for fans of the first book. While I read tons, I admittedly don’t devour as much fiction as the next writer. I’m told this should be regarded as an advantage, and has likely shaped my style. I recall reading somewhere that if you want to have an original voice in a given genre, then the last thing you should be doing is tainting yourself with other works in that genre. Otherwise you run the risk of understandably mimicking others without even realizing it. It’s true that every writer’s necessarily influenced by things, but in my case, those things often have nothing to do with other works of fiction itself. That said, I should mention that I read tons of screenplays. I love the brevity that’s required of ’em. Get to the point already, right? 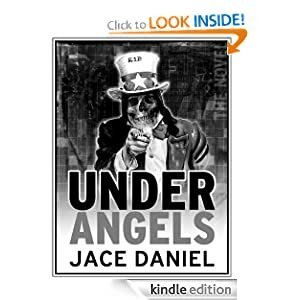 But to answer the question, I’ve had readers declare that Under Angels contains elements reminiscent of plot-driven books by Dean Koontz and Dan Brown. A couple extremely well-read people compared the tale to Faust. Another reader compared the prose to that of Robert Bloch and Richard Matheson. Which is a trip, as I’ve never curled up with a book by either man. But I do love Matheson’s work in the Twilight Zone, my favorite body of creative work ever. I’ve always sensed that he and I share a similar taste in stories. He also had my dream gig; if I had to choose one fantasy to live out, working with Rod Serling from 1958-63 would be a contender. While I wrote Under Angels as a novel, I always imagined it as a movie. It’s a movie I’d line up to see. It’s got the psychological horror of Jacob’s Ladder, the mystery of A Beautiful Mind, the grittiness of Fight Club, and maybe even the heart of Titanic. But with Slayer on the soundtrack instead of Celine Dion. It’s also a graphic novel waiting to happen. Think The Crow, but with anagrams instead of kung fu. My interest in history had a lot to do with it, particularly the World War II codebreakers, cryptography, and the Enigma Machine. I’m also a rabid fan of cryptic wordplay and anagrams, and there’s no shortage of either in Under Angels. There was also the lure of urban legend. I grew up in the port town of San Pedro, down near the Los Angeles Harbor. There’s a haunted Army base there called Fort MacArthur, built in the early 1900s. The base was the home of the K-9 Command, a program designed to train dogs for war. To this day, you can still visit the K-9 Command Cemetery. Fort Mac was equipped with massive concrete gun installations capable of blowing away any enemy vessel that invaded the port’s surrounding waters. After the attack on Pearl Harbor in 1941, with a coastal attack on Los Angeles suddenly a real possibility, the U.S. constructed additional plans to install a complex maze of military tunnels beneath the fort and other areas of the city. When the war was over in 1945, the tunnels were sealed shut, and the line between fact and urban legend became blurred. I grew up with the delicious legends of the Fort Mac tunnels throughout the seventies and eighties, and eventually did a ton of research on them when I got older. They ended up being the perfect backdrop for an even bigger story that came to me in that summer of 2008, a more universal human story about love, loyalty, regret, and second chances. There’s more. As a kid, I was always fascinated with ghosts, and one of the factors that tends to be present in nearly every ghost story is the perpetual loop thing. We’ve all heard such tales. You know, like the one about the little girl with pigtails who drowned in the well a hundred years ago, who is still occasionally seen skipping rope down by the creek. Or the story of the maiden in white who people claim has been walking around the lighthouse every night for decades, waiting for her long-lost lover to return home from sea. I always wondered, what is it with these souls that causes them to do the same thing, night after night, year after year, decade after decade? Why are they stuck in a loop? What are they trying to achieve? Is it residual, or is it unfinished business? What are these souls thinking? I always wanted to tell one of these ghost stories, but from the ghost’s point of view. Under Angels is that story, and then some. Under Angels is narrated by a very special dog named Shadow. He has lots to say, and I’m honored he chose me to write it down. 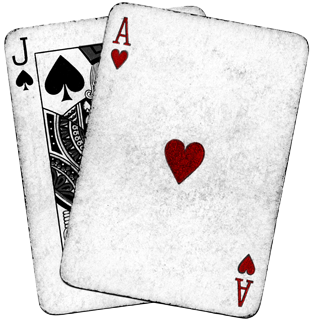 The story’s prequel will have a new narrator at the helm, and the yarn he’s about to spin is going to surprise both of us. Mitchell Allen, who’s currently working on a fantasy called Puzzleland. Sounds fun; it’s about a young girl named Alicia who’s magically sucked into a greyscale world of puzzlesmiths. Mark Brandon Allen, a veteran sci-fi author whose next work will play off Leonard Cohen’s music poetry.